We’ve added our first workshops to the fall schedule. It's almost September and the studio is ready to welcome our first members . . . is one of them you? Lost wax casting may be thousands of years old, but there is always room for innovation. 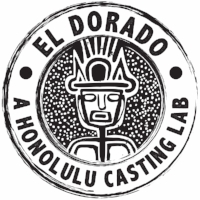 Welcome to the El Dorado - A Honolulu Casting Lab blog. On a (fairly) regular basis, we’ll be giving readers access to resources designed to build knowledge and interest in lost wax casting as well as other techniques we’ll be highlighting in the months to come.